Dr. David Dean is a radiologist who lives in Birmingham, Alabama and is affiliated with North Mississippi Medical Center. He got his medical degree from University of Tennessee College of Medicine and did an internship at University of Tennessee. 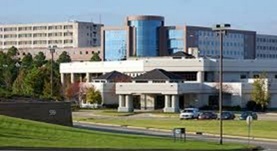 He completed his studies with a residency at Baptist Memorial Hospital. Dr. David Dean is board certified in radiology and has a vast experience of 10 years. Dr. David Dean has contributed to 1 publications. Coupled-cluster computations of atomic nuclei. Hagen, G.,Papenbrock, T.,Hjorth-Jensen, M.,Dean, D. J.; Rep Prog Phys. 2014 Sep 16.